On 18 & 19 March 2017, Jay Atwood (EdTechTeam) and I hosted the Taiwan Google Summit at Kaohsiung American School. In truth, this amazing tech conference could not have happened without the support of the most innovative professional speakers in the field (Anita Chen, Vivian Lin, Mike Yung, etc.) and our team here at KAS (special accolades to the Tech Crew, the Tech Ambassadors, and of course Robert, Lena and Tom). During this weekend long event, I lead a workshop on how to build a teacher website in minutes. I would like to share my resources here. 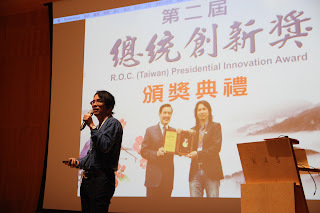 Google Summit in Taiwan This was a really energizing event for all who participated. Both days opened with brilliant keynotes. On Saturday, professor Benson Yeh lit up the assembly recalling his experience implementing the concepts of gamification in his university course. On day 2, my friend Suan Yeo, education evangelist at Google gave us another insight into the future of education with his talk cleverly entitled #YouHadOneJob. This is the TED Talk presentation I gave at Learning2. Called "Design Better People", it focuses on how the design thinking project management cycle teaches empathy, an essential life skill which positively impacts individuals and institutions.